Congratulations to the graduates of Speechcraft #74! Next course starts in July. Congratulations Mike Smith for winning 1st Place in the Southern Division International Speech and Evaluation Contests. Mike will now represent Southern Division at the District 70 Annual Conference in May. Well done Mike! Congratulations Mike Smith for winning the Area 23 International Speech and Evaluation Contests. 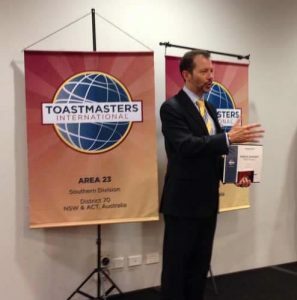 Mike will now represent Area 23 and the Southern Division International Speech and Evaluation Contests to be held on Saturday, 16 March at Club on East and 17 March at University of Wollongong. Join us for our first meeting for the 2019. Arrive 6.45pm for a 7.00 start. Come along to learn some new skills and practice your public speaking skills in a fun, safe environment. Miranda Toastmasters Club wins the District 70 Public Relations Award Category 2 – Let the World Know, for its SPEAK UP newsletters. Congratulations to Aurelien Schibli for winning 1st prize at the District 70 Southern Division International Speech Contest. Aurelien will now compete at the District 70 Annual Conference on Saturday, 19 May 2018. 19 March 2018 – Congratulations Mike Smith and Aurelien Schibli for winning the Area 23 Evaluation and International Speech Contests. Winners of these contests progress to the District 70 Southern Division Contests to be held in Wollongong on Sunday, 8 April 2018. 6 February 2018 – Tuesday meetings are back – 6.45pm for 7.00pm start. ALL Welcome. 26 January 2018 – Miranda Toastmasters has now achieved Distinguished Club status by achieving 10 of the 10 goals. The final goal was achieved by attending Leadership training during January. This is a team effort and a big thank you to all members for making this happen. Click here to view the Club’s DCP Status report. 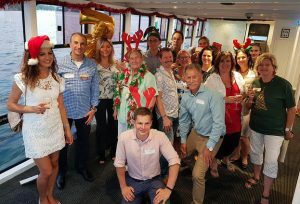 12 December 2017 – See photos from the 55th anniversary celebrations & Christmas party. 11 November 2017 – Congratulations Mike Smith, for being awarded 1st place at the District 70 Humorous Speech Contest Southern at the District 70 Semi-Annual Conference on Saturday, 11 November. 11 November 2017 – Miranda Toastmasters Club was awarded two ribbons at the D70 Semi-Annual Conference, and was the only club in District 70 to achieve 1-3-5-7 AND 2-4-6-8 DCP goals before the date of Conference. 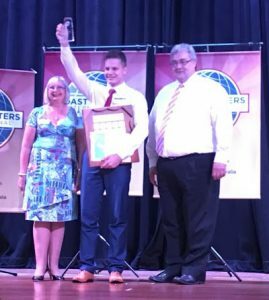 16 Sept 2017 – Congratulations Mike Smith, who won the District 70 Southern Division Humorous Speech and Table Topics contests on Saturday, 16 September 2017. Mike will now represent Southern Division at the District 70 Semi-Annual Conference in November. Read SPEAK UP, Miranda Toastmasters’ monthly newsletter. Click on the links below to read each edition.